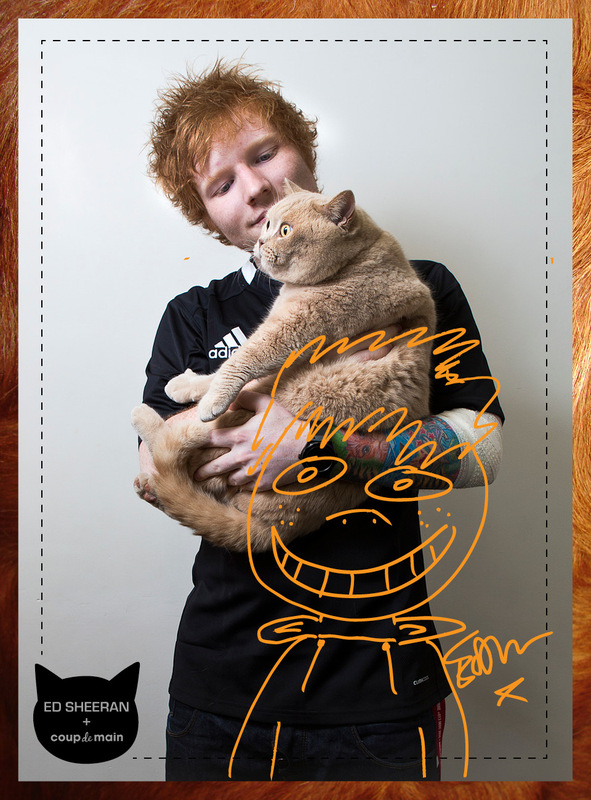 Interview: The Ed Sheeran Cat-erview + Ed-terview. 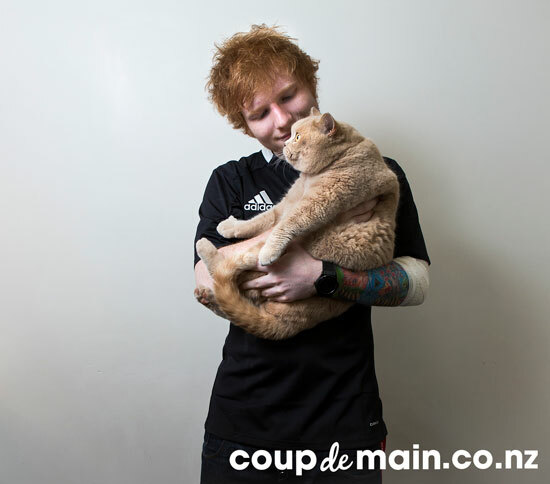 During singer-songwriter [and one-man-music-machine] Ed Sheeran's first ever trip to New Zealand, Coup De Main spoke to the twenty-one-year-old about the relationship he has with his fans, the importance of maintaining individuality, what it was like co-writing with Taylor Swift, and his thoughts on One Direction breathing new life into old songs of his. ...and yes, we adopted Ed a [Kororā] Little Blue Penguin [from Auckland Zoo]. "You have to sacrifice a lot of things to do the job that I'm doing, but I'm living a dream. For me this is one of the only things that matters... I'd say that the three things that matter in life are: friends, family, and this. Relationships are kinda in between friends and family... so if I've got a good balance of friends and family, I'm happy." Act II - during which Coup De Main falls prey to a bout of cat-fluenza and has to call upon our friend Monty to take over the rest of the interview with some seriously important questions. 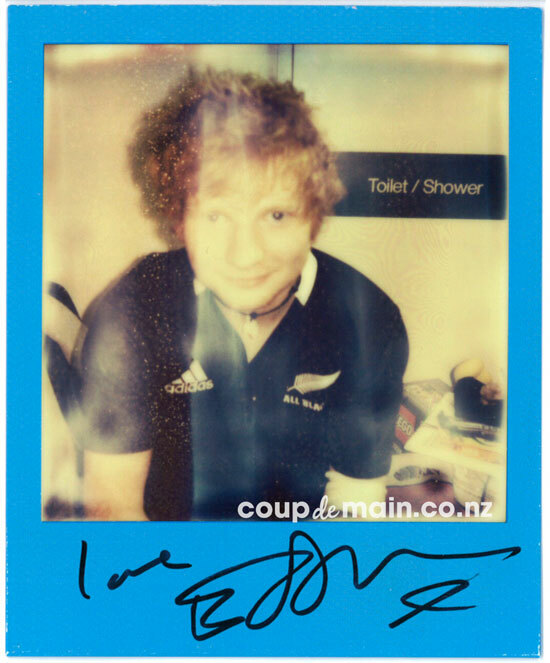 MusicEd Sheeran teases new music/album. MusicWatch: Ed Sheeran crashes a Katy Perry interview. 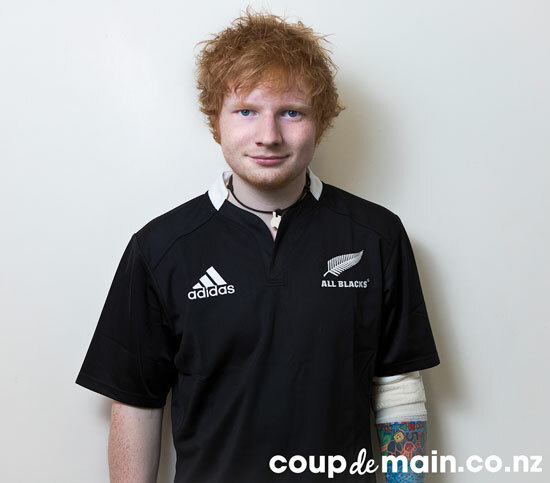 MusicEd Sheeran teases upcoming NZ/AUS tour dates. 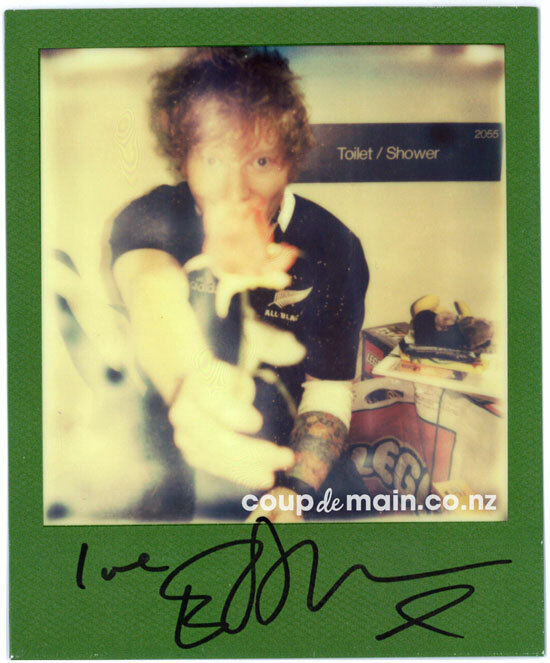 MusicEd Sheeran performing [the song he wrote for One Direction] 'Moments' live. 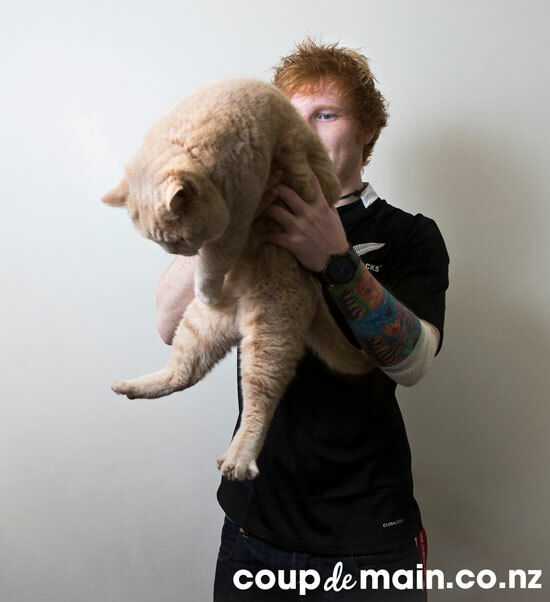 MusicTop 5 Ed Sheeran collaborations on new album ‘÷’. 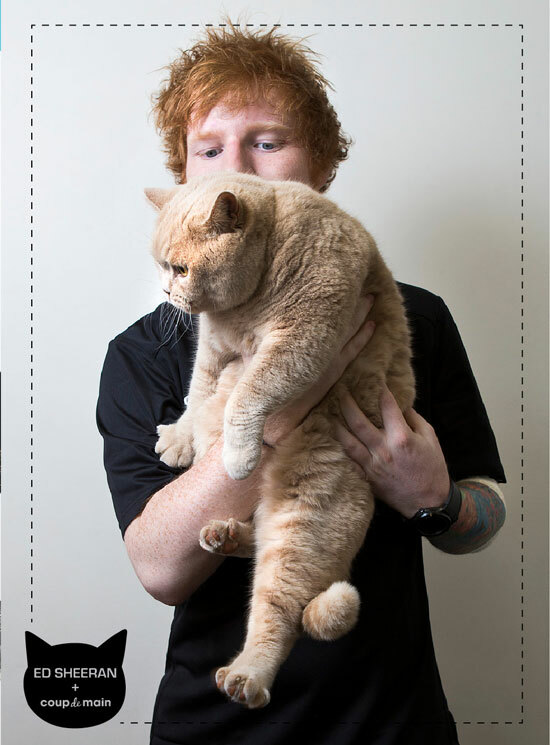 MusicEd Sheeran - 'Bloodstream' live at the 2015 BRIT Awards.